Since I left home over a decade ago I’ve developed a coping mechanism: a memory of a time and place that will pull me through hard times. Growing up has been a surprisingly unnerving and unstable experience. So for the past twelve years I’ve trained myself to escape any current ugliness by retreating to a “safe place.” Since January it’s been this courtyard in Toronto. This place carries no emotional attachment for me. 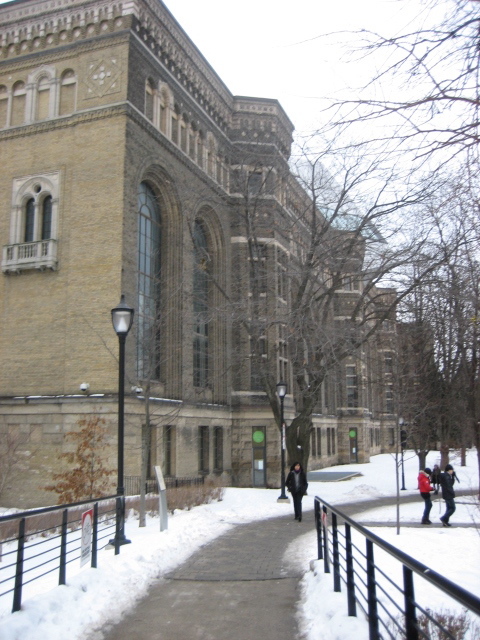 But it represents a trip away from the relentless dryness and heat of Texas; and it has an uncanny resemblance to my undergraduate stomping grounds. 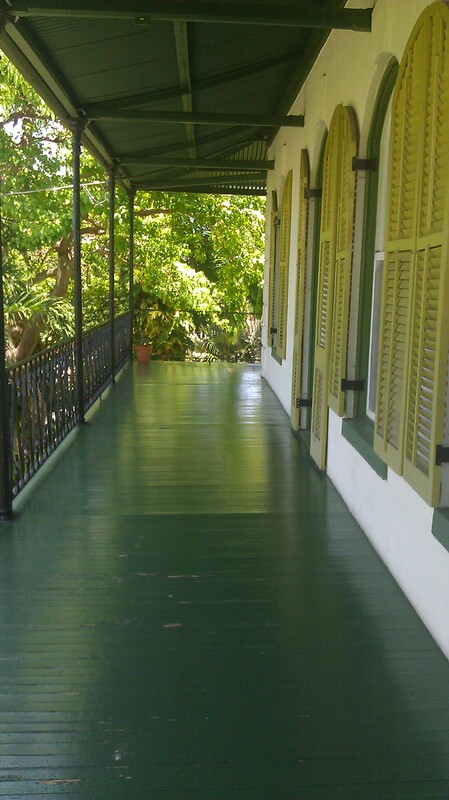 Since I came back from Florida, the image du jour has been the second-floor porch at Ernest Hemingway’s home in Key West. I look at this picture and can hear the voices of my family members and almost see them walk into the space. It’s currently the wallpaper on my phone, which makes it even harder to get on with my life at the moment. I’m sure most people experience pangs of nostalgia, denial of the present, etc. But for me, it’s a sensation that is nearly pathological. I could sum it up as easily as saying that “there” I was in the light, while “here” I’m in the dark. Yet it’s one of the principle burdens of my life. And ironically, if not cruelly, my life’s path snakes me away from where I’d really like to be. So in that poignant absence, I will myself to Hemingway’s porch and ignore the darkness around me.